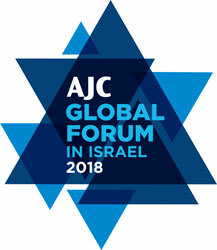 AJC Global Forum is a unique policy and advocacy conference. Each year more than 2,500 people from 70+ countries convene in the nation’s capital to discuss, debate, and advocate on key issues affecting the future of world Jewry. For the first time in AJC’s 112-year history, the organization’s signature event, the AJC Global Forum, convened outside the United States. With over 2,100 participants, it is largest-ever gathering for an American Jewish advocacy organization in Jerusalem and was timed to coincide with the anniversary of the rebirth of Israel 70 years ago. I developed a unique logo and applied it to the multiple event materials. Pictured here are municipal banners, in both English and Hebrew, that were displayed on the streets in Jerusalem. We created branded column wraps, water bottles, stage backdrops, lecterns and multiple collateral to brand an event of this size. One highlight was an exhibition area where we designed and produced a time-line wall display that zig-zagged through the large convention center space showcasing the 70-year relationship between AJC and Israel. 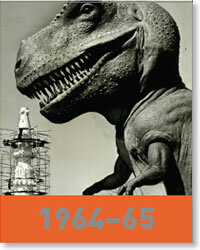 These graphic materials successfully branded 5 different venues and multiple excursions.